Mrs. Lindauer is a graduate of the University of South Florida with a Bachelor’s degree majoring in Finance and minoring in Psychology. 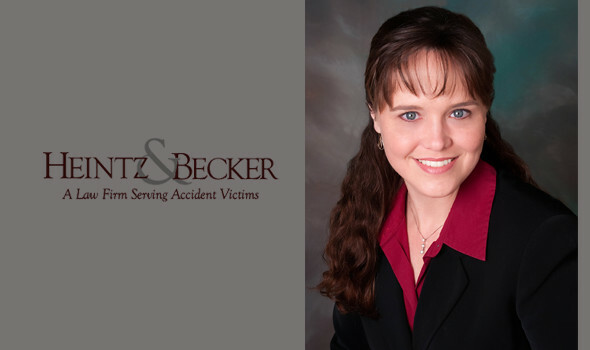 Before and during law school, she worked in the personal injury field for eight years. She is a graduate of Stetson University College of Law. While at Stetson, she participated in the Public Defender Clinical Program of Pinellas County and earned the William F. Blews Pro Bono Service Award. She studied law overseas traveling to Spain, Gibraltar, Switzerland, France, Germany and the Netherlands. She is a past president of the Young Lawyers Division of the Manatee County Bar and served on the board of the Manatee County Bar Association. Under the Young Lawyers Division, she has participated in Wills for Heroes, Team Up for Teachers and the building and funding of our courthouse’s Child Waiting Room. Mrs. Lindauer is admitted to the Florida Bar and has been practicing law in the areas of personal injury and wrongful death. She has a superb rating on AVVO and is a member of Florida Justice Association and the Young Lawyers Division. Mrs. Lindauer is a Florida native, born and raised in Bradenton. She is married to Manatee County Sheriff’s Office Sergeant Scott Lindauer and they have two sons. Her favorite hobby is competitive shooting. She was SASS’s Women’s Long Range State Champion in 2009 and 2010; Long Range Southeast Regional Champion in 2009; 2012 Ladies’ Wild Bunch Champion; and, Top Lady Shooter at Myakka’s Annual Match in 2011, only four days before her son was born.